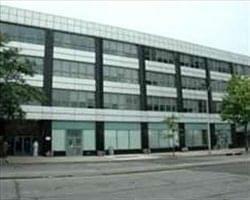 Find My Workspace lists over 95% of the executive office suites market in White Plains. Simply click Request Quote to check pricing for one office, or Add to Basket for multiple offices. This is a flexible office business center providing fully furnished offices, each complemented by a range of support services. Accessible 24-hours a day, on-site amenities include; Conference facilities, the availability of administrative support, reception services, access to a kitchen and the use of meeting rooms. Parking is also available, so this center is ideal for those driving to work.